Superking with ensuite, upstairs roadside room. Room size 3.5 x 4 metres, approximately. Superking bed, upstairs, roadside room with small ensuite. Fridge, tea and coffee making facilities only, fresh coffee and gingernut biscuits. Cable tv, two Sky sport, two Sky movie channels plus regular channels. Telephone and free limited Wifi. This room is ideal for one person with limited luggage space. Plenty of off street parking. Two hundred metres to information centre, three minutes walk to CBD and bus depot. 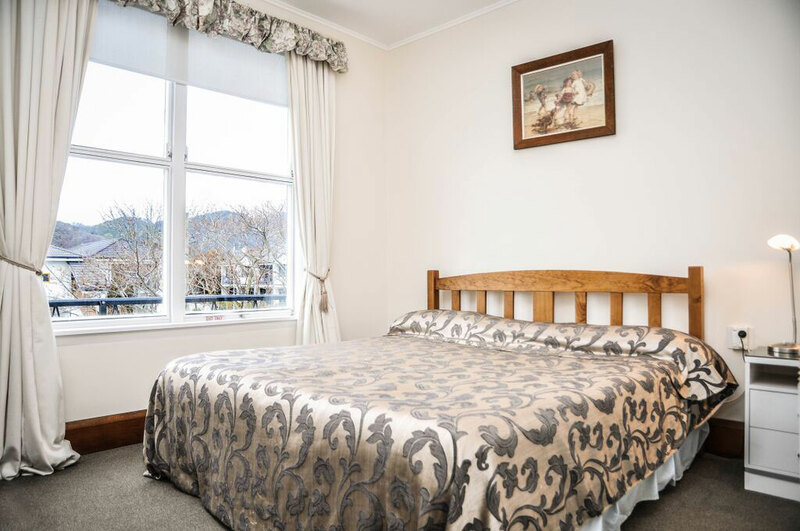 8 minutes drive from Nelson airport and about one hour and ten minutes from the Abel Tasman National Park.